All Phase Concrete Construction, Inc. Comment: 9x19 concrete porch has sunken. Needs to be replaced. Comment: Looking for bids to replace sinking garage floor and cracked driveway and sidewalk. Comment: The driveway replacement is a requirement of my HOA. I am also interested in possibly resurfacing the garage floor. Comment: I would like a stacked natural stone retaining wall in my back yard. Englewood Concrete Contractors are rated 4.70 out of 5 based on 2,745 reviews of 152 pros. 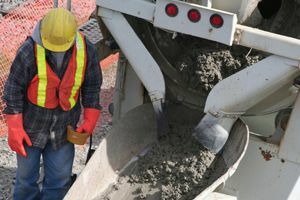 Not Looking for Concrete Contractors in Englewood, CO?